Have you ever think how nice it would be, when it’s cold outside and it rains, relaxing in a scented Turkish bath or in a regenerating sauna? Or to spend a very romantic weekend but you don’t know how to do it and need some inspiration? The question is … where to go? Is there a wellness center in the Conero Riviera? The answer is yes! 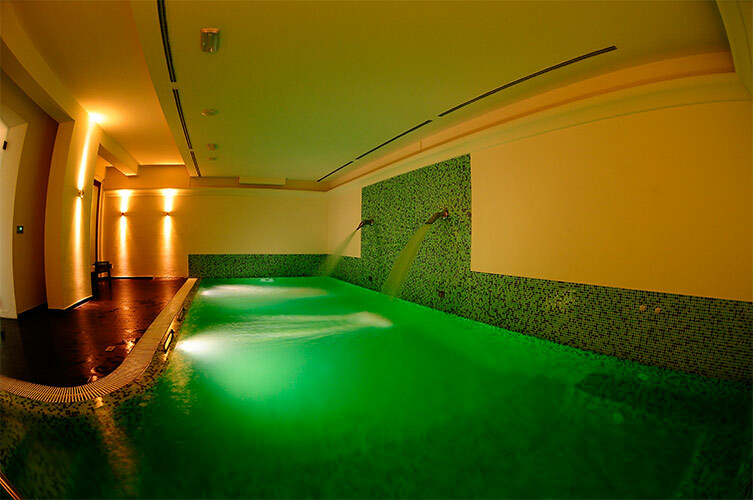 There is a beautiful Spa in Numana at Hotel Giardino. In this unique and elegant Spa you will forget the daily routine and you will find peace and the perfect balance of mind and body. Here you can enjoy Finnish sauna or Turkish bath with eucalyptus and menthol porfume or rely on the expert hands of their staff for a special Thai massages. If you’re curious you can choose the most special paths and enjoy all the benefits of chromotherapy and aromatherapy with massage showers. Hotel Giardino Spa has dedicated, for those who are fascinated by the magic of the water, a heated pool, hydromassage, cervical jets, water blades and chrome treatment paths. In addition Hotel Giardino’ Spa offers a wide range of beauty treatments including manicures, body scrubs, mud and drainages and a purifying herbal tea is waiting for you. Whether for a relaxing day with friends or a romantic weekend, the Spa in Hotel Giardino is the perfect place to relax your mind and body and take care of yourself in an enchanting place surrounded by nature. You can choose between two options: just the Spa entrance or a package with the Spa entrance and a pleasant stay at the Hotel. Our advice is get in contact directly with the Hotel staff: they will help you to make the right choice!